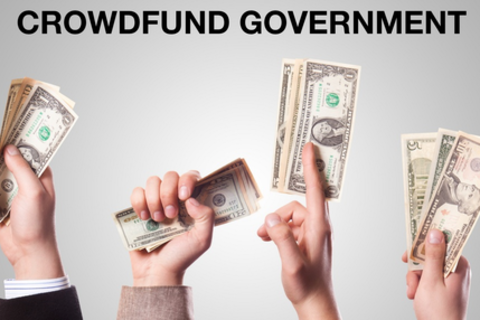 Can Crowdfunding Save Local Government Budgets? There are countless local government projects that are not completed due to lack of funding. These are projects like building new parks, renovating neighborhood pools and adding bike lanes - projects that governments want to take on and citizens want to invest in, but often can't. For decades, we have seen citizens host neighborhood barbecues to raise money to save a park or library - projects that can only happen through government and citizens partnering together. But what do these barbecues look like in the 21st century and what does it look like when vastly more projects have a chance of being funded? Crowdfunding platforms focused on funding local government projects are sprouting up in the U.S. and abroad, giving citizens a direct say in where government spends their money for the first time in history. This panel will discuss the successes and failures of these startups and will answer the tough questions facing these new business models. Rodrigo is a Policy Advisor to Spacehive, the UK's first crowdfunding platform for public space projects. He is currently based in Cambridge, MA, as a Research Assistant at MIT's Center for Civic Media, where his work focuses on tech-enabled civic engagement and user-led service design. Jordan Raynor is a digital strategist that has spent his career solving real problems in government and politics through technology. Jordan currently serves as the Co-founder and Partnerships Director at Citizinvestor - a crowdfunding platform for local government projects. This latest startup venture of his pits Jordan right in the middle of the Gov 2.0 movement with other talented entrepreneurs looking to disrupt government through technology. As Co-founder and Partnerships Director at Citizinvestor, Jordan is responsible for securing partnerships with local government entities and marketing projects posted to our platform to citizens in Citizinvestor's partner municipalities. Story Bellows joined the City of Philadelphia in April of 2012 as Co-Director of the Mayor's Office of New Urban Mechanics. The new office is a civic idea and innovation incubator, which develops innovative approaches and processes to solving complex problems in the public arena. Prior to coming to Philadelphia, Story served as Director of the Mayors’ Institute on City Design, a leadership initiative of the National Endowment for the Arts in partnership with the American Architectural Foundation and the US Conference of Mayors. An urban designer by training, Story spent four years in a private design practice Chicago, where she founded a research group and worked with leaders in the public, private and non-profit sectors on urban, education, healthcare and environmental design projects and initiatives. She holds an undergraduate degree from Colgate University and a Masters degree in City Design and Social Science from the London School of Economics and Political Science.